Harajuku student sporting a kawaii street style look with printed jacket, ruffle skirt, yellow sandals and colorful accessories. 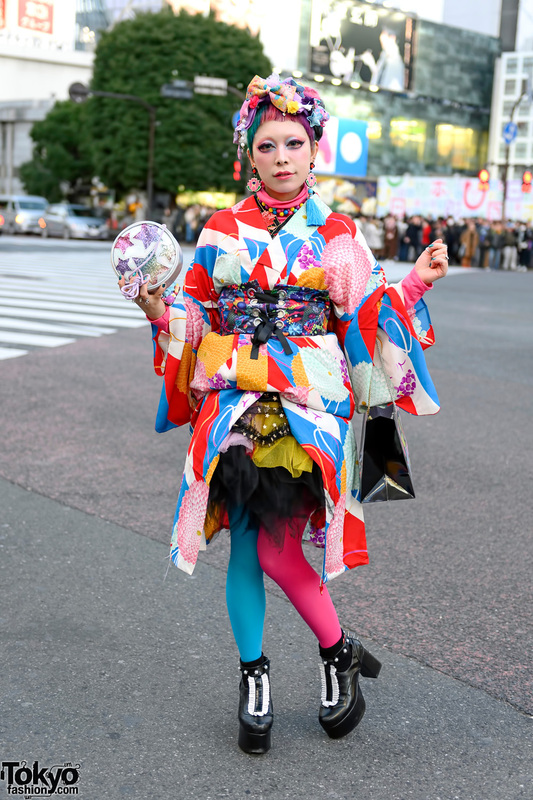 Colorful kawaii street style in Harajuku. 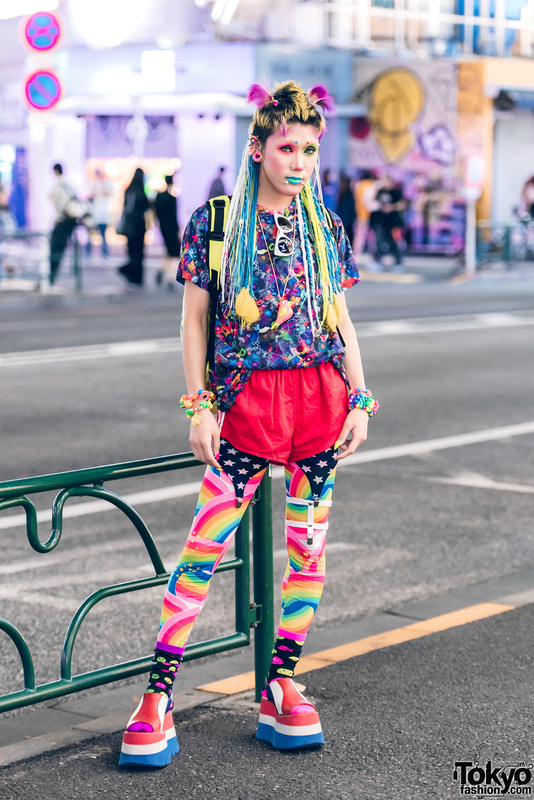 Harajuku girl with gyaru hair and makeup wearing a tie-dye crop top, cutoff denim shorts, faux fur sandals, and hoop earrings. 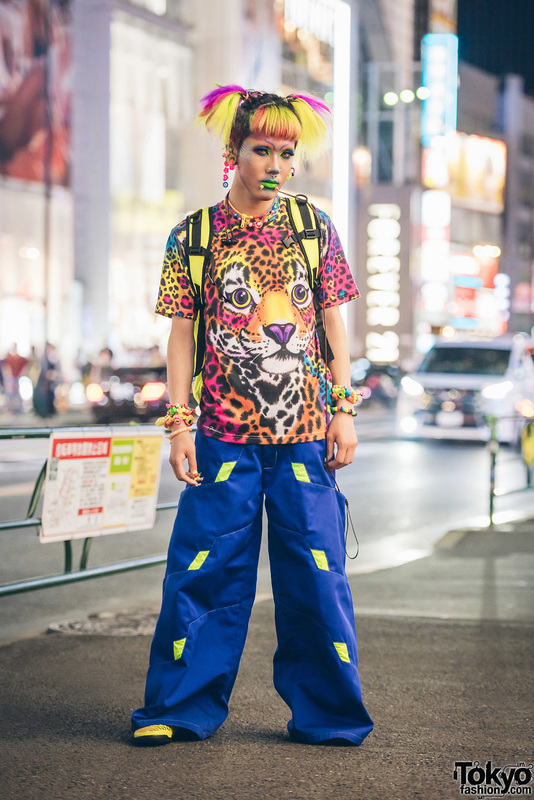 Harajuku guy in lion makeup and colorful outfit wearing a leopard print shirt, wide leg pants, yellow sneakers and backpack, and kawaii accessories.